The April 2019 Cape Fear anglers meeting will be at Inlet Watch Yacht Club and Marina at 6:30 pm on April 16. Our guest speaker will be Captain Jeff Wolfe from Sea Hawk Charters will be speaking about, Flounder, Red Drum and Trout in the back bays. We will also have the most recent (4/2/2019) information on Carolina Beach inlet. As always dinner will be from Thyme Savors Catering. Please have your $10.00 if you should choose to have dinner. 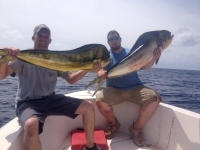 Also, please sign up at the attached link https://capefearanglers.com/rsvp.php. Those who have not paid their dues you will be taken off the membership roster. As always, the public is invited. Come on by and meet us. You may want to join.